Work It Wednesdays: Take your savings to the Maxx! So as February begins, and we slowly embark on the upcoming Spring/Summer shopping season, let’s honor our fallen comrades by…doing a little bit of shopping! Yep. But, not just any bargain binging…No, no, no. This my lovelies, is gonna require a more strategic plan of attack; and I know just the place to wage this “war on retail”. Are you with me? Let’s go!!! 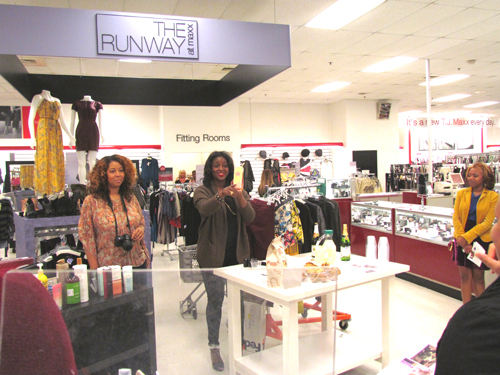 Last month I was invited to an event called “New Year, New You” at the T.J.Maxx store at Perimeter Center in Dunwoody, which was being hosted by Lexi (LexiWithTheCurls) of Curls, Coils & Kinks and Danielle Gray of The Style & Beauty Doctor. 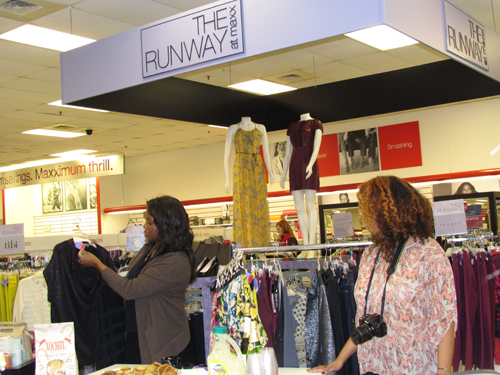 The event brought out some of Atlanta’s hautest fashionistas and beauty bloggers, and featured “magnificently marked-down merchandise” (try saying THAT more than once) for the beauty and fashion maven with designer tastes, but a not-so-designer budget. I had the pleasure of meeting both Lexi and Danielle a few days prior as they hosted an event at Sole Atlanta in Atlantic Station to wrap up 2011. 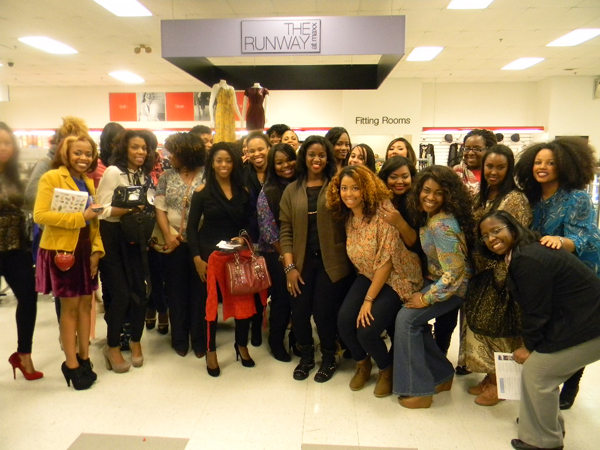 We had such a fabulous time at the Sole Atlanta event that I knew this one would be even more fab! Hey ladies; It's savings time! So after we regained consciousness 😀 , Danielle presented a few pieces that she pulled from the racks a bit earlier to show us what type of styles and designer selections that were at our fingertips. A few of her fabulous finds were a Chloe shoulder bag marked down to $799 from $1,299, a Z Spoke Ostrich skin bag, and a pair of red pumps (sorry, didn’t get the name of these beauties ;-(, but as you can see they are super haute!). WOW!!! 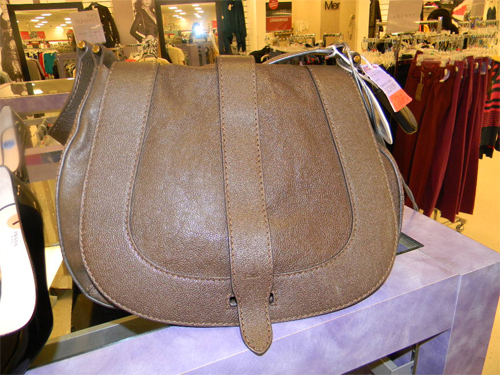 This Chloe shoulder bag is marked down from $1299 to $799. 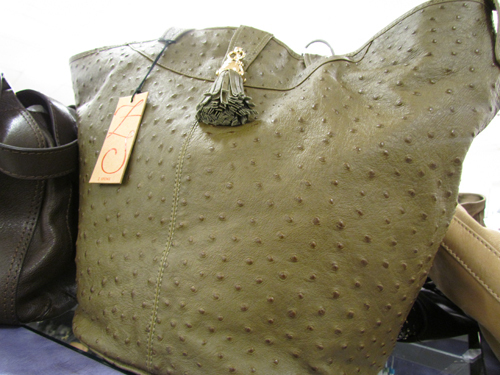 This Z Spoke Ostrich skin bag is too fab! Aren't these beauties super haute!? 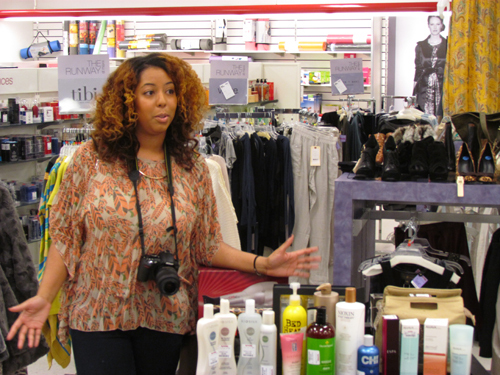 Next up was Lexi who informed the ladies that T.J. Maxx/Marshalls also carries name brand beauty, hair care, skin care and even makeup products at…you guessed it, up to 60% off their retail prices! And you can even find items that are slashed even more, so the savings just keep on coming! After we got the skinny on all the deals and discoveries to be found at T.J. Maxx, it was time for a game of “The Off-Price is Right”, where the contestant who comes the closest to the discounted price of a select item, won the item. On the bidding block was a cook book, a DKNY wallet, and Jennifer Lopez Glamour parfum. I must say, the bidding was rather intense and could easily rival that of Storage Wars alum Dave Hester and Darryl Sheets’ classic battles. 😀 But, as with all contest there can be only be one winner (in this case several), and a few lucky ladies walked away with the coveted prizes. And in the spirit of competition, Danielle invited all guests to participate in a fashion challenge whereby each guest was instructed to put together a head-to-toe outfit to be judged by most stylish at least price, with the winning ensemble to receive a $25 T.J. Maxx gift card. Sounds simple, right? Well, participants were given a mere 12 minutes to pull it off. Talk about pressure… And with the vast selection of fabulous items at our disposal, this was definitely gonna be a “challenge’. Well, it was now time to see what we each of the ladies came back with. All of the ladies did a fabulous job of put together cute outfits. I found a classy Ralph Lauren dress that I paired with a purple cardigan sweater, a cute beaded necklace, and a pair of scorchin hot Jessica Simpson patent-leather pumps. Smokin!!! And, because ALL the ladies’ picks were so fab, the judges would choose three winners to each receive a $25 gift card. 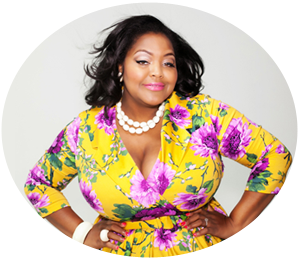 And the winners are…Eboni (Fashionista Next Door), Tia (If I Were a Brit Girl), and Tiffani (Taste Maker Magazine)! But, after the lucky winners were announced, Danielle, in classic “Oprah-style”, surprises everyone by announcing “You get a gift card, and you get a gift card, and you get a gift card!” (Insert dramatic fainting) 😀 Each of us received a $25 T.J. Maxx gift card!!! YEAHHH!!! Thanks Lexi and Danielle for such a wonderful and fun-filled event! 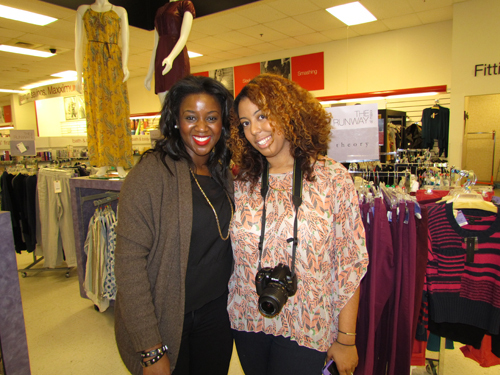 I had a great time mixing and mingling with all of the fab bloggers, and discovering all the super deals and fashion finds at T.J. Maxx/Marshalls. I’ve been a frequent shopper at T.J. Maxx for quite a while now, and I will continue to take my savings to the Maxx! Pssst…Be sure and vote for me to be The Next Big Style Blogger. Cast your vote for Nikka NOW! Check out more pics from this event! Work It Wednesdays: Going Dutch…and loving it! Is the Grass Greener on the other side? L.A. Bonds has the answer. Oh my looks fun! I wish I had known about this!